The 2002 World champion came back from two frames down to level the contest heading into the mid-session interval while succeeding in keeping Walden from breaking big early in the match. But after the world number 12 re-took the lead in a tight fifth frame, he was finally able to find big builds to complete the win, finishing with runs to 125 and 84 to set up a last-16 encounter with either Welsh Open champion Stephen Maguire or Marcus Campbell. Though Walden-Ebdon was the only tie from the first round proper to be contested in the tournament’s inaugural session, Nigel Bond was also able to make it to round two when he defeated Zhu Yinghui in a wild card qualifier. With Ali Carter withdrawing from the event prior to the start due to medical reasons, the winner was guaranteed a first-round walkover and Bond hit an 83 break in the highlight of his well-earned 5-2 win. Mark Joyce also hit his qualifier’s highest break at 83 in the opener of a nine-frame epic with Noppon Saengkham, which he won 5-4 with a deciding-frame 52 clearance. And Alan McManus outfought Lin Shuai in a relatively low-scoring match-up in the last of the session’s contests to finish, securing a 5-3 victory over the Chinese amateur player. 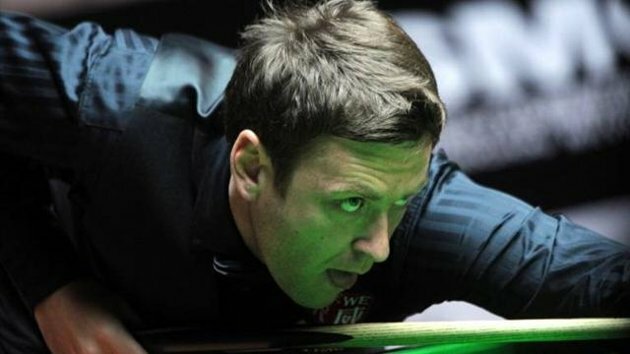 Both Joyce and McManus begin their official World Open campaigns against top-level compatriots, as Joyce takes on Judd Trump and McManus meets John Higgins.